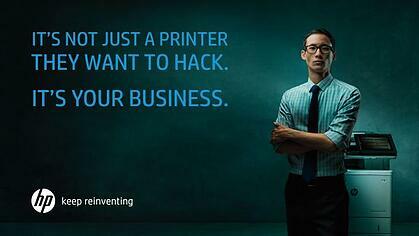 You are here Home » Blog » HP Has the Most Secure Printers in the World, Why Is This Important? Does it matter that you have print devices on your network that are more than 7 or 8 years old? Are all manufacturers the same when it comes to security? How important is it to have hardened print endpoints to protect your organization from cybercrime and ransomware? Are your data and intellectual property safe? Do you know the gaps/risks of your print environments current state? How much would you have to invest, or would you actually save money if you closed the risk gap of your print environment? Print security is a bit of a murky space and frankly, most manufacturers will tell you they have it covered, and you have nothing to worry about. We’ll try and provide some of the answers and direction if protecting your company from cybercrime is important. In this space, HP has recently been acknowledged as having the most secure print devices in the world. The industry analysts that we keep in touch with say they are well ahead of the rest and are continuing to increase their lead in technology. HP has technology in their enterprise level print devices to protect you below, at, and above the operating system so that hackers have no way in. They are focused on staying ahead of the game by providing software tools to automate locking down or hardening your print devices. The software also provides reporting which gives visibility to the potential areas of risk in your print infrastructure. This is really positive and helpful, but the fact is, if you have devices that don’t have the smarts in them (old print/copy devices, some brands of hardware) on your network, you may have some serious openings that put your organization at risk. Without closing all the ports and protocols that aren’t required and consistently keeping the firmware up to date with the latest patches, you may be at risk. Many organizations we talk to think that they won’t be a target of cybercrime and ransomware. We hear things like, “Why would we be a target? ; Our data isn’t that important”. The reality of the situation is that what we’re talking about here is cheap. It doesn’t even have to be a capital investment! Protect your company’s data and ensure that malware or ransomware doesn’t shut the doors of your business. I’m not trying to scare you here but many companies that get attacked and lose their data and systems can’t come back from a full shutdown fast enough and are at risk of going out of business or taking a major hit to their financials. Again, the opportunity cost of not future proofing your print infrastructure may save you money from your current state, and the opportunity cost of doing nothing could be significant. Further, according to IBM Security and Ponemon Institute in the 2017 Cost of Data Breach Study: Canada, for 27 Canadian companies that participated in the study incurred an average total loss of $5.78 million. Reach out for a free print fleet assessment and we will educate you on your risk and provide a simple plan to close the gap. With your MPS experts at your side, updating and securing the print infrastructure can all be accomplished with a simple as a service model, leaving your IT team to focus on other critical areas of the organization.